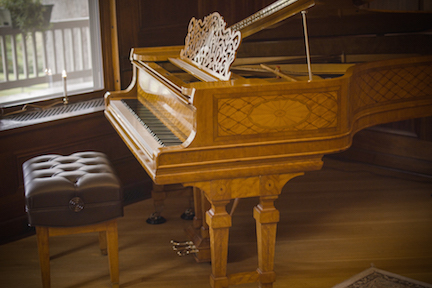 The Inn at Ragged Edge is proud to unveil the latest addition to its front room – a Steinway & Sons Model B Music Room Grand, built in 1901 for Harrods of London. With an intricate inlaid design, the historic piece was restored by Gaithersburg, MD-based PianoCraft, specializing in the restoration, rebuilding, customization, care and sales of the world’s finest pianos. Check out Paul Byrom's website for ticket information. Call 717-496-8372 or email info@TheInnAtRaggedEdge.com for tickets. Check out Colm Keegan's website for ticket information.